I’ll be honest. I’ve never been a fan of Top Gear but my boyfriend is a big fan of Matt Leblanc and a bit of a gear head so he’s been watching the new series and I’ve been dipping in and out where I can. Last night was their final episode of the first series back with the new front runners, as you can tell Matt Leblanc and Chris Evans, but it has emerged that Chris will not be returning for a second series. Whether you’re thrilled or disappointed, honesty, I can’t say it was a surprise. This series of Top Gear has been a bit chaotic ever since it was revealed and, of course, thanks to Jeremy Clarkson and the boys they had some huge shoes to fill. 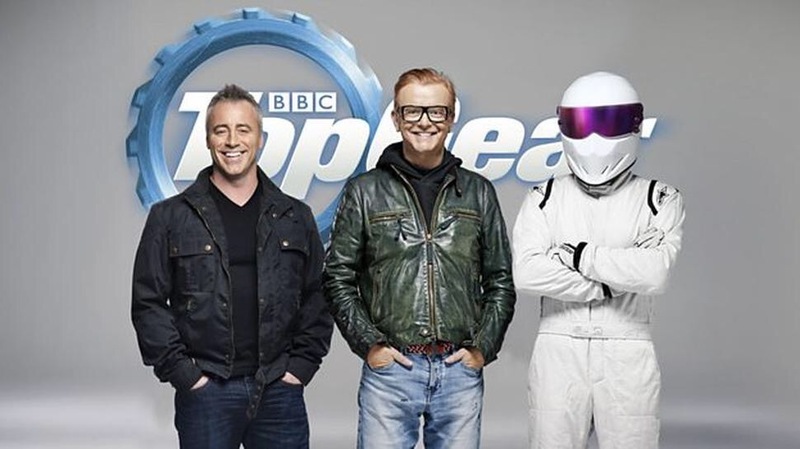 In the first episode Chris Evans was incredibly overbearing and tried too hard to be like what Top Gear used to be. He doesn’t have the witty banter and charisma the old presenters’ had and clearly this didn’t mesh well with Matt Leblanc. Matt’s presenting style was everything the audience was looking for – charming and charismatic, a complete change to Chris so clearly it’s obvious why he was the more favourable of the two. Where will this take Top Gear next? Will it be an improvement or will this just mark the beginning of the end? (even though it’s only just come back!) Whatever happens, it is obvious that the presenter makes the show and no great car or special guest will make people watch. Top Gear looks beautiful, let’s just hope they get a new and exciting person in! What do you think of Chris Evans’ departure?